Personalized on both sides, this placemat’s cheery pups bring the wish for a “Merry Christmas” to the table, as they remind your child every day that a beloved holiday is coming. 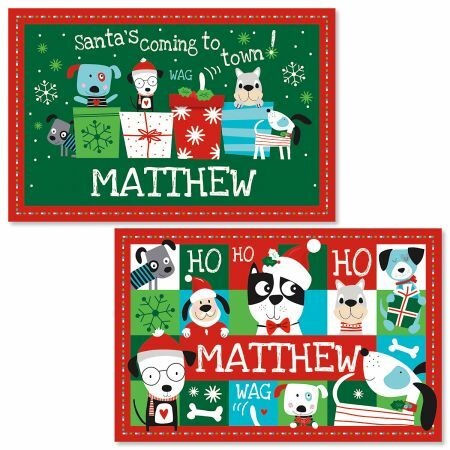 Placemat reverses to a related canine scene in festive coordinating colors and measures 11" x 17". The bright graphics are laminated, so you can wipe this placemat clean in seconds. Great Christmas gift for kids!